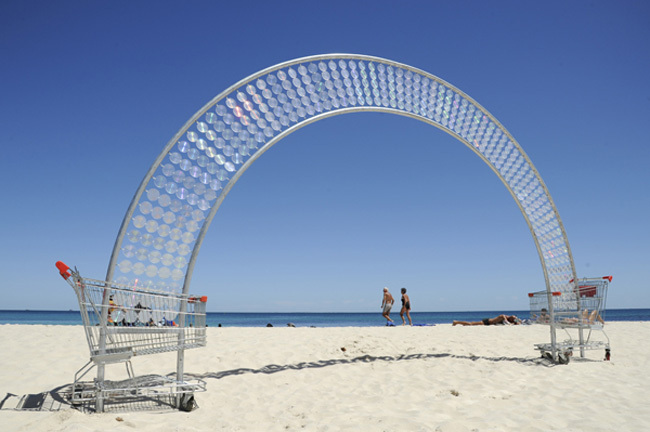 The multi-talented Matt McVeigh is an Australian set designer, painter, costume designer, puppet-maker, and sculptor. 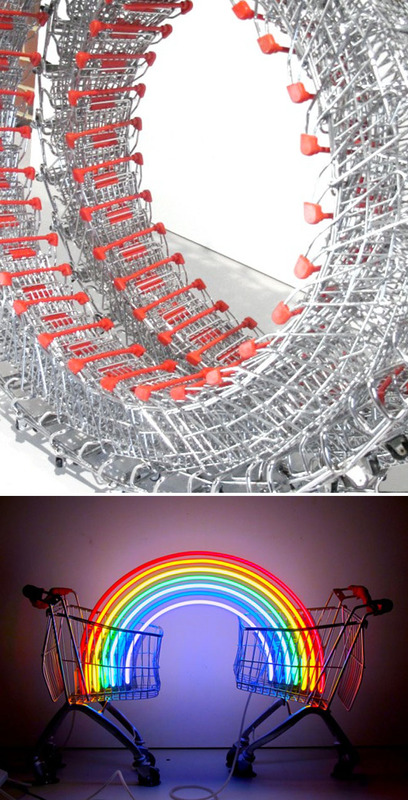 Most recently he has created a series of sculptures involving both life-size shopping carts and miniature ones. In these sculptures McVeigh explores consumerism and its resulting social issues by referencing the instability of our culture and the endless pursuit of more. Last month in Cottesloe’s 8th annual Sculpture by the Sea, McVeigh had both an outdoor (top photo is The New Covenant) and indoor (bottom photo: Covenant Under Question?) sculpture exhibited. 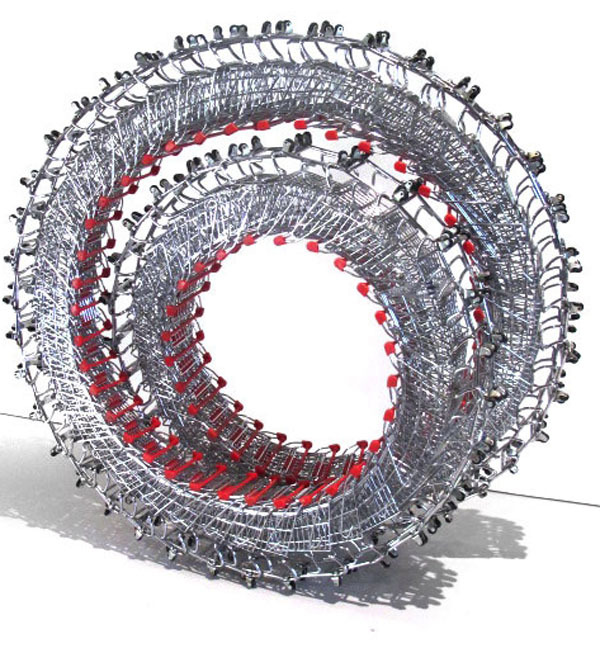 You might also like last year’s submission, Ascension, as well as his kinetic piece Stentor.